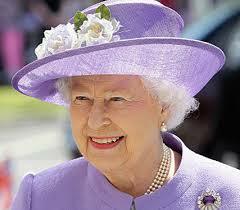 Congrats to the queen for being the longest serving head of state since her great -great grand mother- Queen Victoria. Today I was pondering on the word ‘fear’. And I realized how little yet, powerful the 4 letter word is and how it prevents many from fulfilling their dreams. It dawned on me that one among many reasons why people fear and cannot perform at full capacity is because, they concern themselves with what people say and get apprehensive when they make mistakes that lead to failure or risk. When you find yourself feeling afraid as we often do, seize the energy in doing something positive. Dare not be afraid to push yourself forward as there’s no guarantee you will get it at first attempt but, remember that if you had not failed the time you did, perhaps you would not have known what you now know. Have a good day and keep pushing.